A long-established supplier of complete boat kits and parts in our hobby. 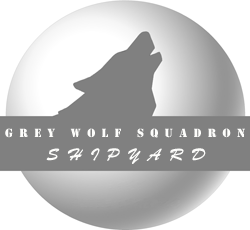 A relatively new supplier with an extensive supply of ships and parts. Both of the suppliers at left have online shopping and an extensive catalog of everything one needs to get into this MAGNIFICIENT OBSESSION of a hobby! We are delighted they have decided to carry our parts to help us make them available to the hobby. We also carry inventory to most of the battles we attend so look for us at a battle near you!